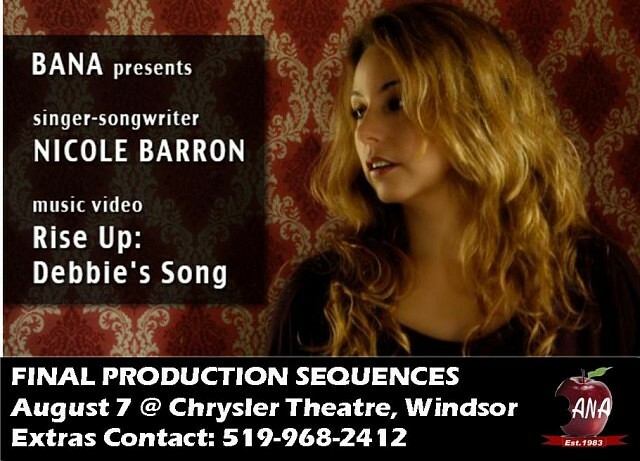 BANA, the Bulimia Anorexia Nervosa Association of Windsor-Essex is looking for some volunteers to be extras in a video shoot this Tuesday August 7th at the Chrysler Theatre. Extras of all ages extras are needed for a Music/Dance Concert scene at the Chrysler Theatre. Production takes place between 9am and 12noon and you must be available the entire time. For more information you can call 519-968-2412.